Blackjack is certainly enjoying a steady surge in popularity as increasingly more online blackjack lovers worldwide are playing this all-time classic casino card game. 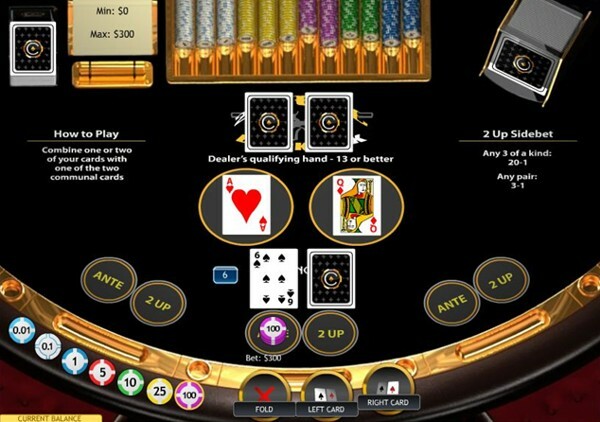 What is even more exciting is that players are being treated to yet more new and unique forms of blackjack with different rules and features. Playtech online casinos offers 7 game variants: single deck, 21 duel, 6-deck classic, blackjack switch, surrender, pontoon and progressive blackjack. All of the games are powered by Playtech software - a name synonymous with excellence and class. 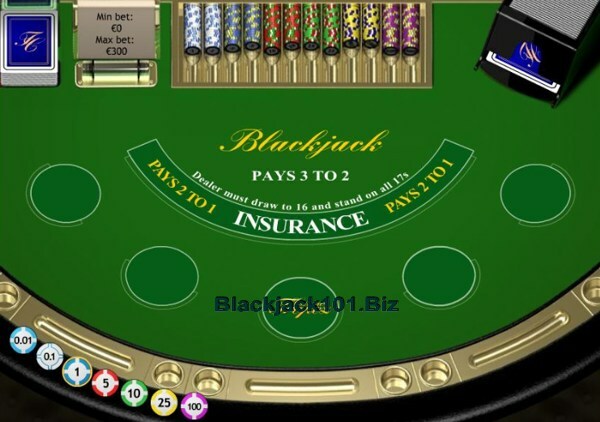 You'll not only find your favourite Blackjack game, but in all probability, a number of other games and variations you never even considered playing, or heard of. 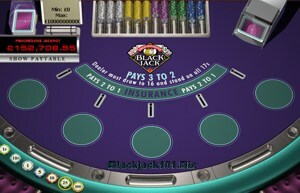 All except Blackjack Switch can be played in your choice of Single Player mode, 3 or 5 Hand mode, Multi-player, or even as a Private Group. 6 Deck Blackjack Review. This is an American Hole Card game that is played with 6 card decks. The dealer stands on all soft 17. The dealer peeks on 10 value cards and Aces. You can double down on any 2 cards; split only once per hand. No Surrender is allowed. Only one card is drawn to split Aces. You may double down after a split. A split Ace and a 10 value card counts as 21 and not a Blackjack. Dealer peeks for Blackjack. 10 Card Charlie rule applies. Playtech's classic game with Las Vegas Strip rules. 21 Duel Blackjack As in regular online casino Blackjack games, the object in 21 Duel Blackjack is to build a sum higher than the Dealer's hand, without exceeding 21. Again, the player is competing against the Dealer. The player is dealt 2 cards, one face up and the other face down, while the Dealer's 2 cards are both dealt face down. Two additional community cards are also dealt face up, which both you and the Dealer use to build your hand. Dealer stands on soft 17. Dealer's qualifying hand is 13 or better. There is no Blackjack hare - all 21-value hands are equal. Optional 2 Up side bet on first 3 open cards can pay you up to 20:1 your bet. Blackjck Switch Review. 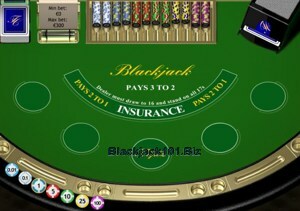 Available exclusively on Playtech casino software, the difference between this unique online Blackjack game and regular Blackjack is that you are dealt 2 hands and given the option to switch the top card of each hand in order to build stronger hands. A refreshing new twist on an old-time classic. 6 card decks. The dealer hits on soft 17. 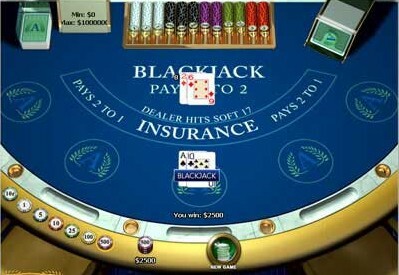 Blackjack pays 1:1. All doubles and splitting allowed. You may only split once per hand. You may double after a split. Dealer peeks for Blackjack. Dealer pushes on 22 (except Blackjack will still wins). Blackjck Surrender Review. 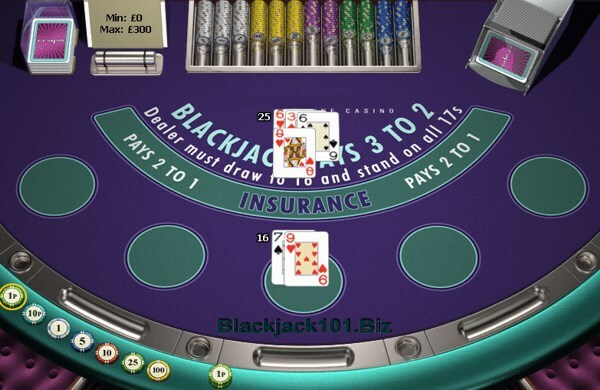 With a few notable exceptions, the rules of Blackjack Surrender are almost identical to regular online Blackjack, and just as easy to grasp. The notable exception is the late Surrender option that increases player's odds. 6 decks of 52 cards are used, the dealer stands on all soft 17s, you can double down on any first 2 cards and after splitting. Player may only split once. Dealer always peeks for Blackjack. 7 Card Charlie rule is added. Pontoon Review. This exciting online Blackjack type game is said to have preceded what we know today as regular blackjack. One of the differences is that any 5-card hand or "Pontoon" (21) pays you 2 to 1 instead of 3 to 2 as you may expect in classic blackjack. In Pontoon, the Dealer must hit on Soft 17, and stand on Hard 17. Both Dealer's cards remain face down but he checks for Pontoon (Blackjack). 8 card decks. The dealer wins on all ties. Two hands - Pontoon and Five Card Trick (ANY 5-card hands of the player) - beat 21-value hands of the dealer. You can double down and draw any number of cards. No insurance or surrender. Progressive Blackjck Review. Similar to other progressive jackpot games, a portion of every side bet placed from other linked online Blackjack games is contributed to the growing jackpot. As you can probably imagine, this pot can amount to the hundreds of thousands of dollars in no time at all. You can be eligible for the entire jackpot if you place an optional side bet and receive 4 consecutive Aces of the same suit, starting from the first card in the hand. 8 card decks. The dealer stands on soft 17. You may only split once per hand. Only one card is drawn to split Aces. Double down after a split is allowed. Dealer always peeks for Blackjack. 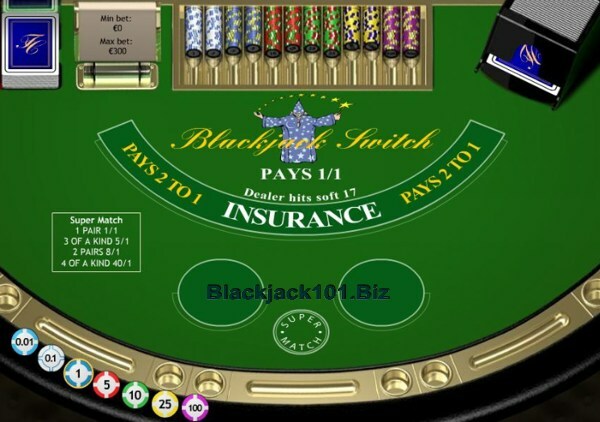 Playtech software (Titan Casino, Casino Tropez, Monaco Gold, Del Rio Casino, Europa online casino and more) offer a blackjack variant called Blackjack Switch, which allows you to trade cards between two hands. You make two bets of equal size and are allowed to switch the second card dealt to each hand. Most Playtech casinos offer games with 6 decks which is very bad concerning card counting. However, today It's difficult to find an online casino making card counting easy anyway. The inability to count the cards is well compensated by the lowest house edge on Net today. Try our no download Flash-based Playtech free blackjack game to test your skills. The game was presented by Casino Tropez - popular International online casino, one of the leader in Europe due to multi-lingual customer support and localized casino software. You can play 4 different Flash versions of Playtech black jack games, like BJ switch, pontoon and blackjack surrender at our Free Games section (left menu).